I just love a party theme, especially when I can match my gift to the theme! 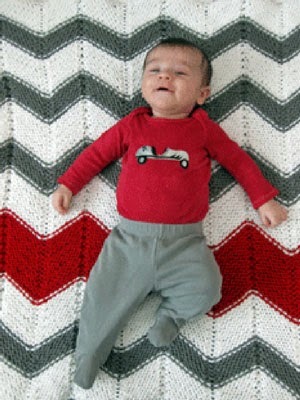 This little boy's nursery has a gray and white chevron design on one wall with one chevron stripe in red. His daddy loves vintage cars. 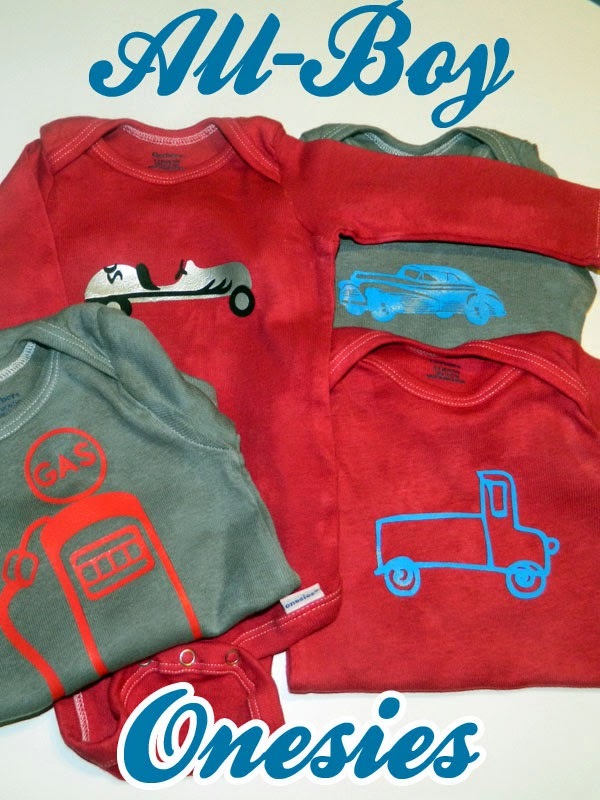 What would be cuter than onesies dyed to match the nursery colors (and crocheted blanket), then embellished with vintage car images? The cars, truck, and gas pump designs are all from the Silhouette store, as is the heat transfer vinyl. Notice that the race car is silver and black. You use the same method as with one color of Silhouette Heat Transfer Vinyl, just do everything twice! 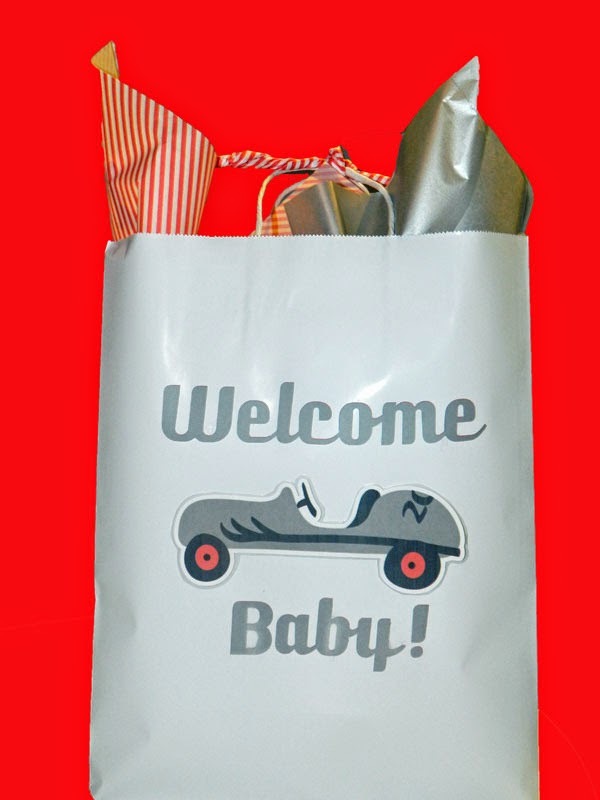 Of course, the gift bag had to match, so I used Silhouette's print-and-cut feature for the "Welcome Baby" and race car. I applied them to a plain white bag and use silver and red-striped tissue. This little boy is ready to go, go, go! Thanks, Taryn! I love stealing--I mean sharing--ideas!